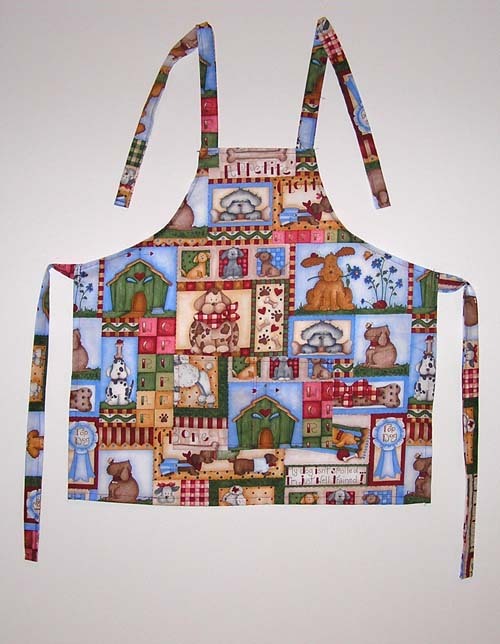 These custom tailored, handmade aprons make perfect gifts for any holiday season. Halloween, Thanksgiving, Christmas, Valentine's Day; when isn't it a good time to bake together! And don't forget that sons also like to help! Available in various patterns and three different sizes. Purchase single item or save on sets. 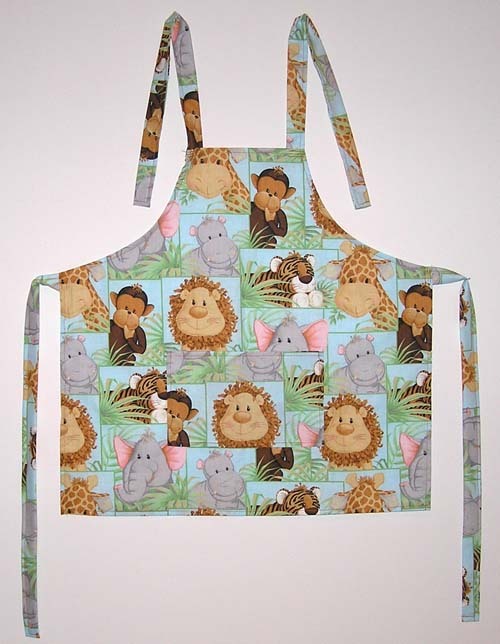 Child's aprons have a divided pocket, adult's has one large pocket. 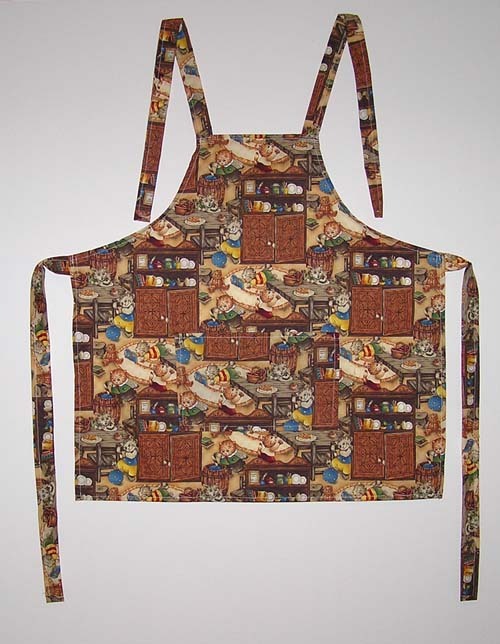 And you can fill those pockets with a spatula and/or rolling pin for mama and her helper. Wooden items will vary slighlty in color. 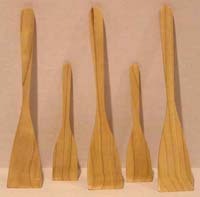 All are finished with non-toxic tung oil varnish. Before it's too late, stop the rat race for an hour or two and spend some time with your kids. Soccer and music lessons are great (and certainly better than vegging in front of the TV or computer); but, what your kids will remember and value most is the time you spent with them doing something together. 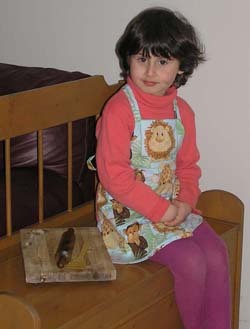 I learned to cook watching my grandfather and helping my grandmother prepare Saturday dinner (same way I learned to fish and hunt at my father and grandfather's sides). I wouldn't trade those times for all money and time our country invests each year in mind-numbing sitcoms and reality shows. I still have and use my grandfather's cuttingboard on which he taught me how to cut an onion and my grandmother's recipe cards (which she rarely referred to, but reproduced flawlessly each time). 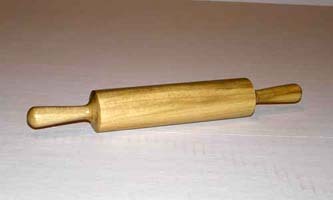 Every time I pull that cutting board off the shelf or refer to one of those recipes, I remember those times together. So, make the effort, take the time while you still have it, and give your children a memory more precious than all the dollars you work so hard to leave them. Just a thought!